I did mention that we would have additional new releases today and here they are. The Western Columbine above is a favorite of mine. 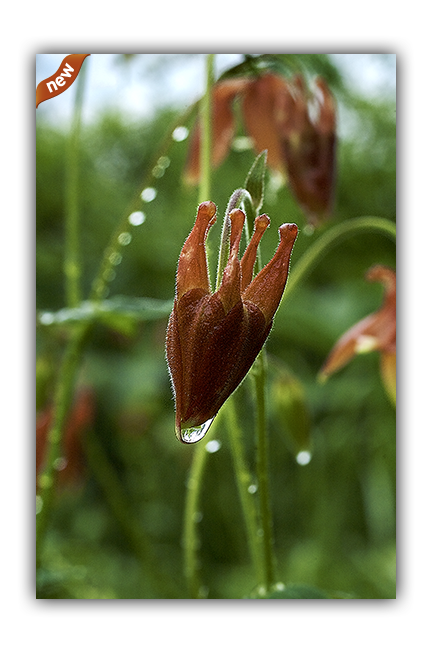 Dee made that photograph up near Coeur D’Alene, an absolutely beautiful area down on the Kenai. The new releases can be found at the links here or you can head over to the site by clicking on the banner of the blog or here. Next up is October 17th. We will be releasing several more images including the ones used in our ads in Southwest Art and Mountain Living Magazines. This entry was posted on Wednesday, October 7th, 2009 at 5:32 am	and is filed under Website and tagged with fine art landscape prints, fine art nature photography, fine art nature prints, Hanging Bells, Lone Eagle, Master of His Domain, Merganser Calling, new releases, New Releases Fall River Photography. You can follow any responses to this entry through the RSS 2.0 feed.